Connacht have announced they will release eight players from their squad at the end of the season — the biggest shock being the exit of Gavin Duffy. Dan Parks, the veteran Scottish international, joins the Ballina man along with Frank Murphy and Paul O’Donohue in the clear-out, along with younger players Aaron Coneely, Brian Murphy, Dave Nolan and James Rael. Connacht team manager Tim Allnutt paid tribute to Duffy. 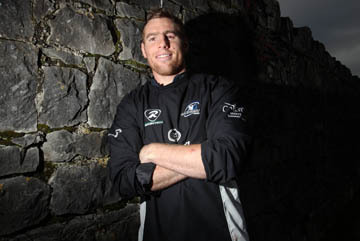 “Gav is one of Connacht’s longest-serving players, and someone I had the privilege of playing with myself for two seasons, going back over 10 years,” said Allnutt. “It’s hard to imagine the place without him. He’s achieved so much with the province and also spent three successful years in his early career over in Harlequins. Duffy has announced that he is to retire from professional rugby despite being linked to London Irish, which was recently taken over by a group of Irish businesmen who’s stated aim is to recruit more Irish players. Incoming Players (confirmed): Bundee Aki (Chiefs), Tom McCartney (Blues), Darragh Leader, Jack Carty, Conor Finn and Finlay Bealham (all Academy graduates).